Photographer: Greg Kadel. Model(s): Jac Jagaciak. Source: Let's Panic Magazine. Makeup: Fulvia Farolfi. Hair: Nicolas Jurnjack. Jac Jagaciak bursts on the scene with floral face blooms that pop off the page by Greg Kadel for Let’s Panic Magazine #2. Semi-sonic shades erupt with combinations that capture the theme of creation. Dignity held in the characterization of color. Opposing the order, these pictures prove that true calm can come under a rush of fire. I dare to dream a lovely dream where all things go away, unto a world where silence screams forever the same way, a fateful place where blue birds fly upon the wings of love, where all will come to rise above, just like the white-winged doves. A glow of saturation soothes the soul as each shot embraces the art of intention. 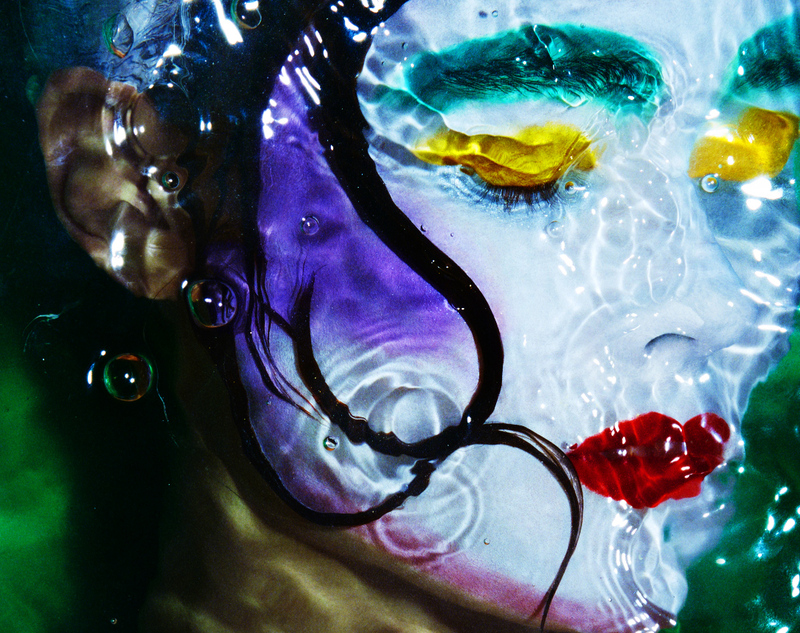 The madness of makeup melds as avant-garde fantasies unfold. Beauty becomes as Fulvia Farolfi lets waves of wetness wash over the skin. 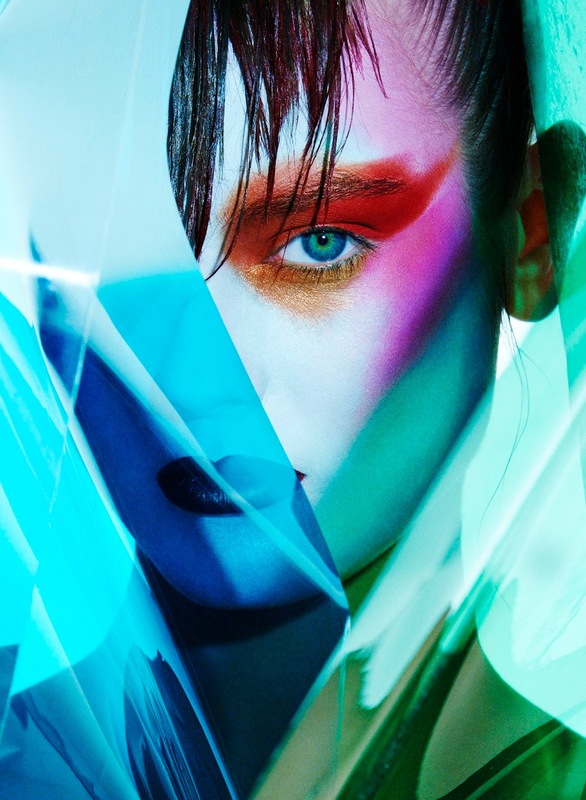 Bold cosmetics take on a tint of real paint by redefining the pop of the palate. Tectonic tones cast a high-octane hue with florid features that flood the face with fun. Luminous liquid lures us in with arousing-red, intoxicating-yellow, pulverizing-purple, tantalizing-blue & neon-green. With a phenom of fabulous soaking in the tub the viscosity of the ultra-vivid flows. Ablaze in the glory of gorgeous, worries wash away as secrets of the skin are told. Hairstylist, Nicolas Jurnjack, shapes each piece of hair like lines of mellifluous honey pouring out of the scalp. 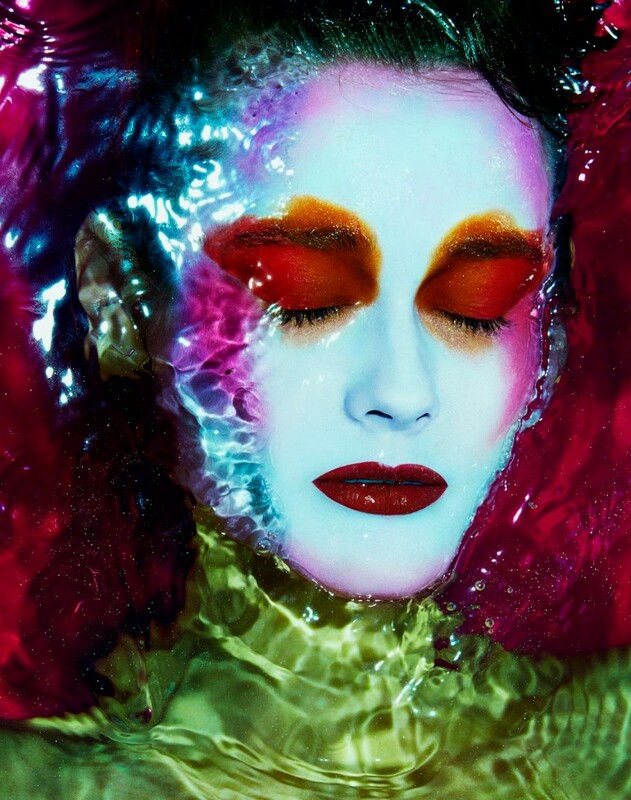 Profound pictures erupt under water with a dark dew that comes alive in the chaos. Jac gets swept-up in the kinetic energy with psychotic-aquatica that has her go wet & wild. 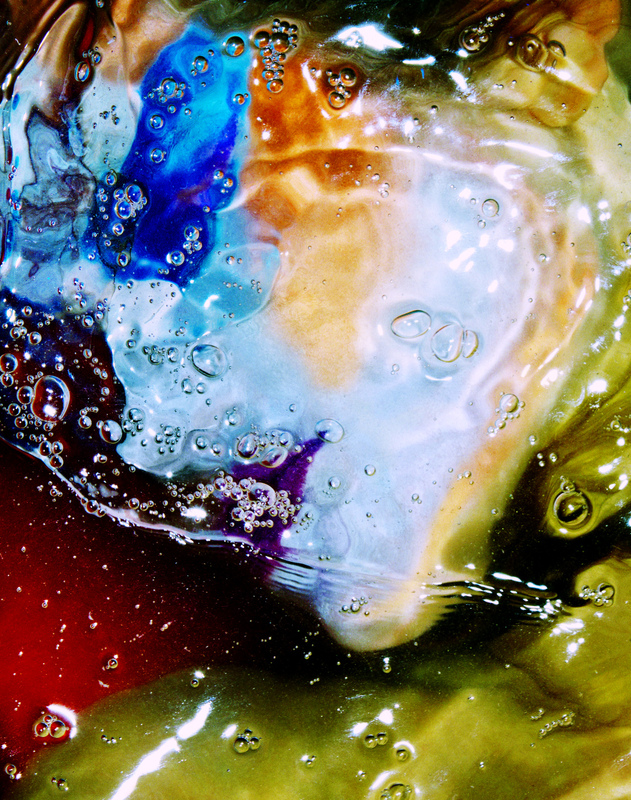 Submerged in a sea of strange, kaleidoscopic colors celebrate the power to float free.